Best Chinese Knives: Tekut Tough EDC Knife Review - If Mora made folders! 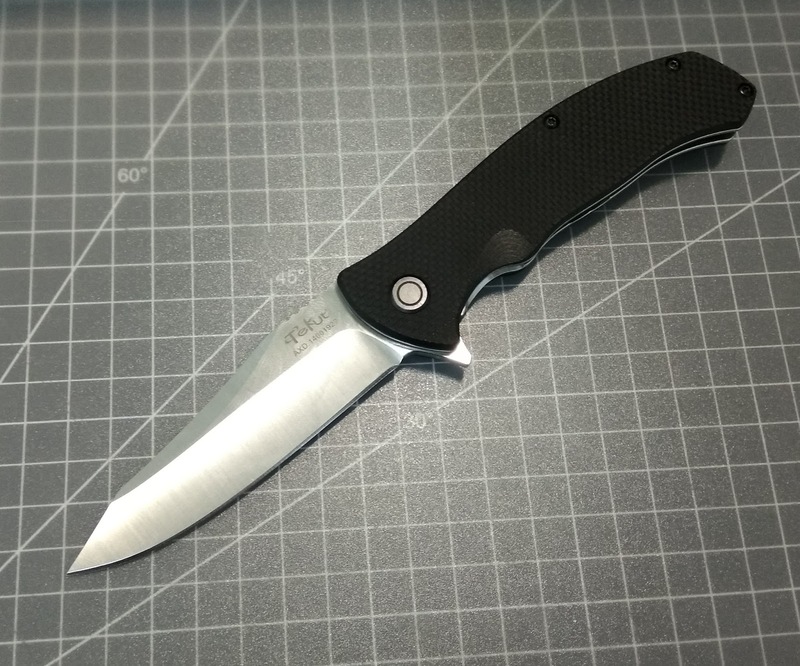 Tekut Tough EDC Knife Review - If Mora made folders! Today I'll be doing something I haven't done in a long time and that is reviewing a new knife. This time it's the Tough - budget EDC blade by Tekut. 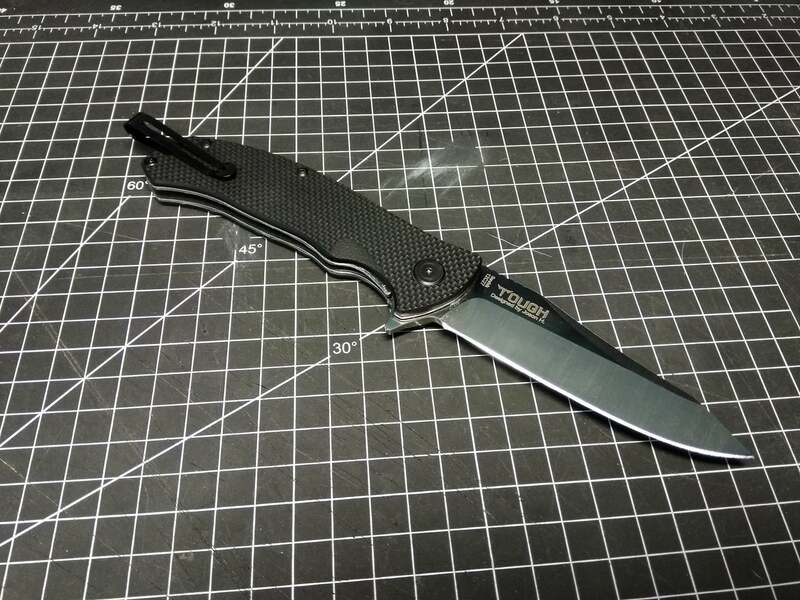 To those who never heard about the brand - just like Sanrenmu, Tekut is a veteran OEM maker out of China that is producing knives for other companies and make a few models of their own. 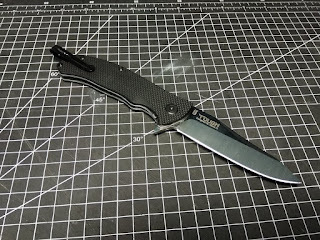 Lately they had a breakthrough with an excellent EDC knife - the Tekut Zero (previously reviewed) and this is their later model. The Tough came in a see through plastic tube, great presentation. Was sharp out of the box, no F&F problems, smooth and had great lockup. - Great quality, fit and finish out of the box. - Solid lockup in both directions (with tweaking). - Great ergos (including thumb dent and gimping). - Nice hydraulic action on washers (not bearings). - G10 with a nice traction but not pant ripping texture. - Sandvik 12C27 blade (the same one SS Moras are made from). - The best quality of this model is the ultra deep carry pocket clip (see demo in the video below). Great original feature that was developed by Tekut. - Blade centering is off in mine. I could tweak it to be centered, but then there will be a bit horizontal bladeplay. One of the most common cons of knives with washers. - The flipper tub is pointy and sticking out too much IMO. Truly a "pocket pecker". - Sating finish on the blade, I would prefer a stonewash that will hide scratches. - Biggest con IMO is the fact that all the screws on the knife are locktited that means it will be difficult to disassemble. This one is a great high value budget blade with some unique and uncommon features that help it stand out in the crowd. It really feels like a tool rather than a collectors piece with its simple but useful shape and build, a reliable tool that you could rely on. That, in addition to the shape make me associate it with Mora knives, so if you were in the market for a folding Mora knife - this one could be a great option.